AMES, IA — Six Iowa State University College of Design students took home awards in the 2017 Art Inspired juried student exhibition on display through Monday, March 20, in the Iowa State Memorial Union Pioneer Room. The show features 29 artworks by 25 students majoring in integrated studio arts, integrated visual arts, architecture, art and design, graphic design, interdisciplinary design, interior design, landscape architecture and agricultural education and studies. Guest juror Jonathan Castro, a full-time ceramics designer and owner of Jonathan Castro Designs in New York City, announced awards at a public reception Saturday, Feb. 4. Castro received a Bachelor of Fine Arts in integrated studio arts from Iowa State in 2007. He presented one Best in Show, three Merit Awards and two honorable mentions. 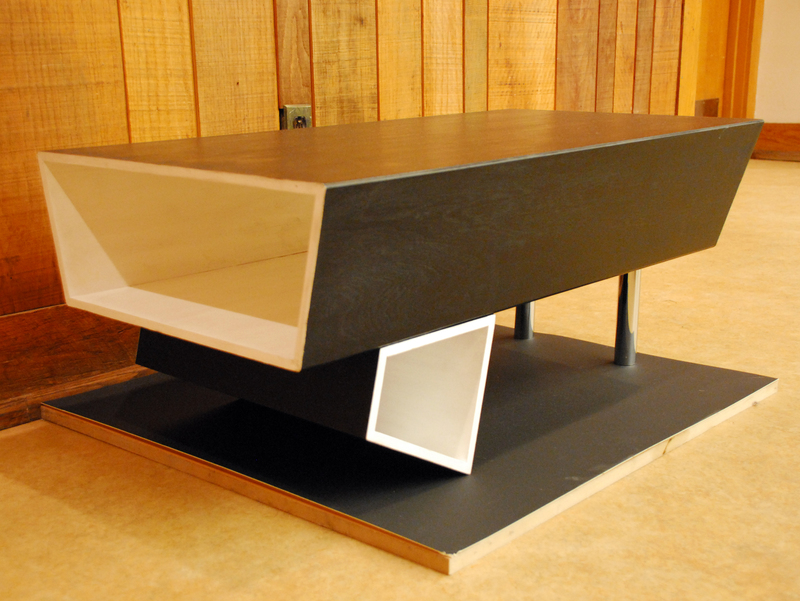 Interior design senior Brooklyn Fenchel, Iowa City, received Best in Show for “Edge,” a wood furniture piece inspired by Le Corbusier’s LC4 Chaise Longue, which she created for a wood design course. The piece is “every bit of perfection and goes beyond art,” Castro said in his remarks at the reception. Merit Awards went to Katie Duval, a junior in integrated studio arts from Harlan; Karen Kajtazovic, a freshman pre-graphic design major from Waterloo; and Carly Ludwig, a senior in integrated studio arts from Carroll. 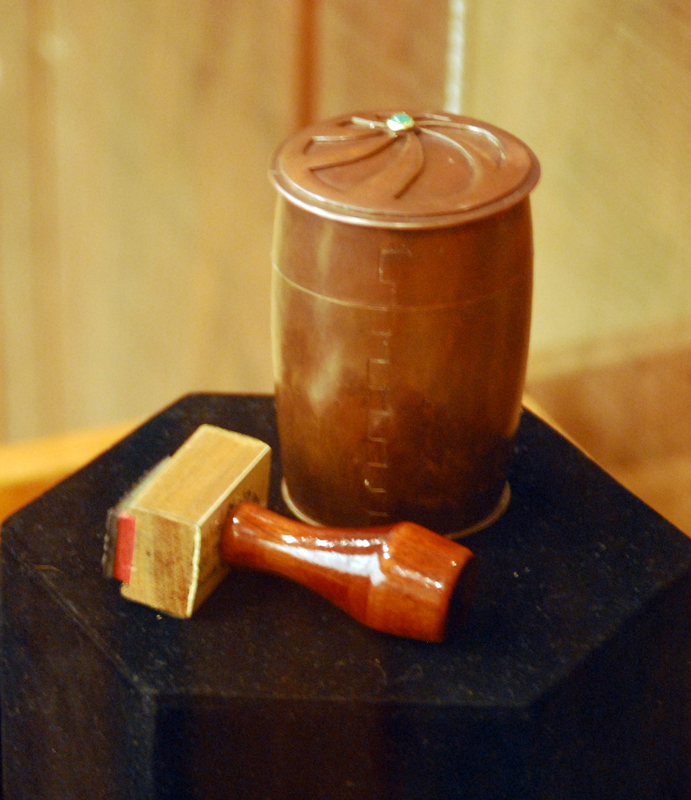 Duval created “DuVal Photo,” a lap-joint container of brass and chrysoprase, to hold a wood-and-rubber stamp her grandfather had used to stamp invoices and the back of photographs in his job as a wedding photographer. 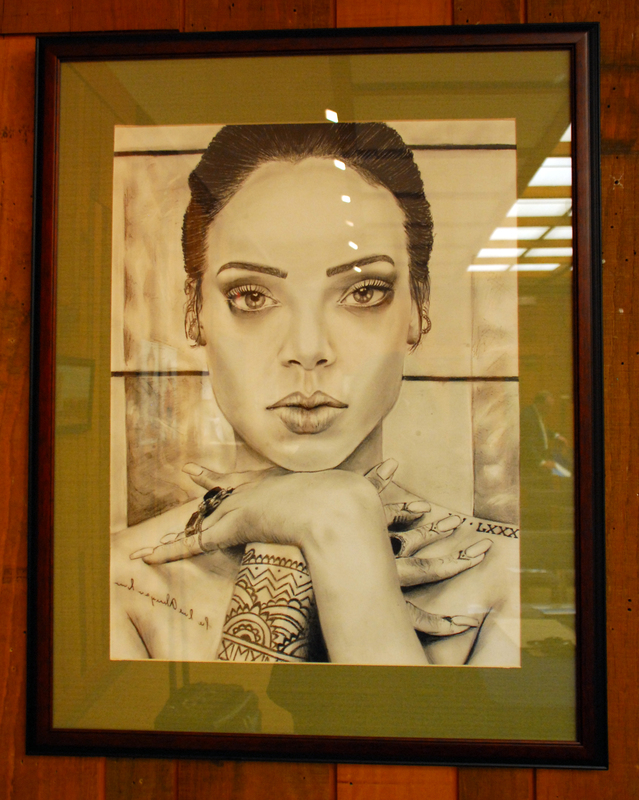 Kajtazovic’s graphite-and-ink portrait of the singer Rihanna, titled “Beauty,” “highlights personality,” Castro said. 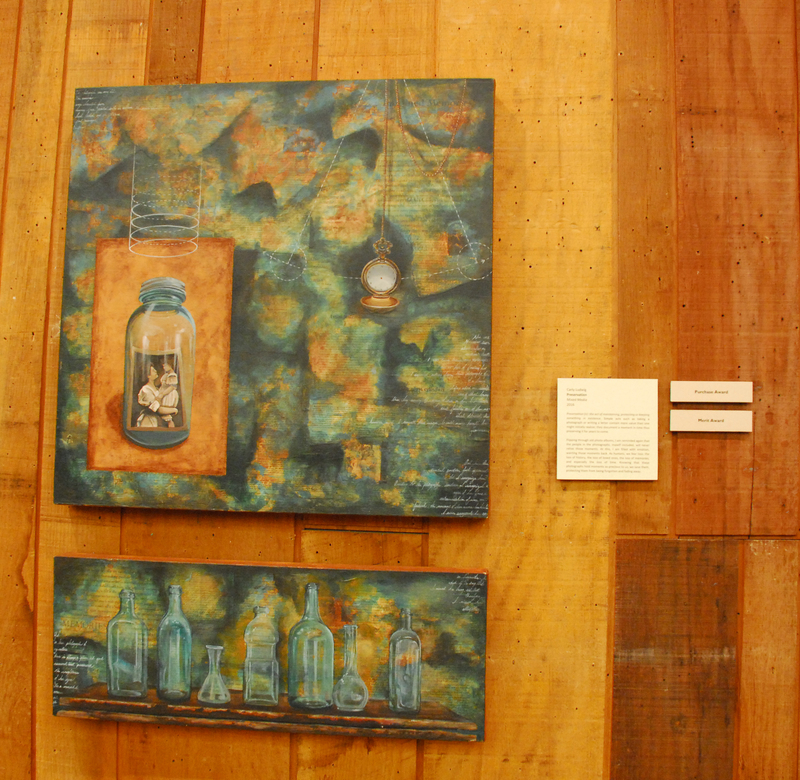 Ludwig took inspiration for her mixed-media painting, “Preservation,” from old photo albums that reminded her that “the people in the photographs, myself included, will never relive those moments.” Ludwig’s work also received the Purchase Award from the Student Activities Center and will become part of the Memorial Union’s permanent collection. Dakota Kessler, Ames, a sophomore in graphic design, and Robert Jinkins, Rewey, Wisconsin, a graduate student in integrated visual arts, received honorable mentions. 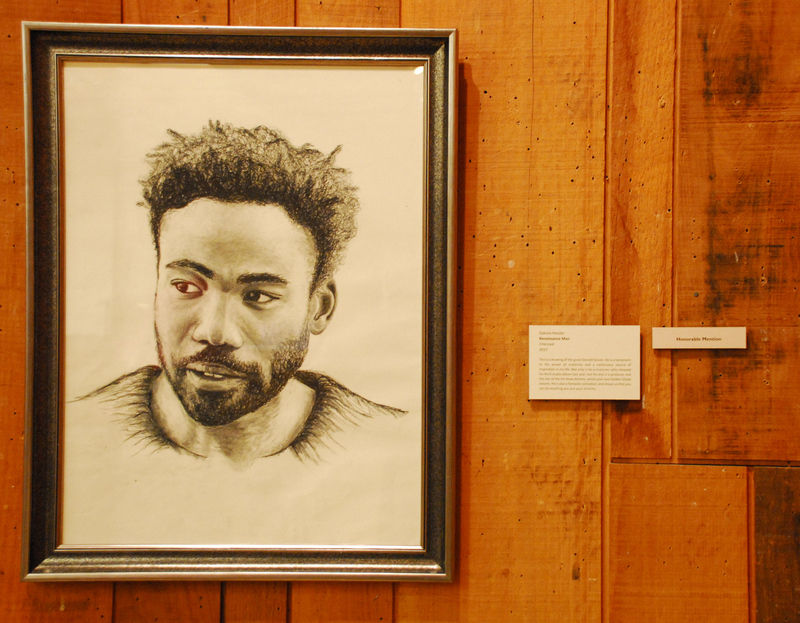 Kessler’s “Renaissance Man,” a charcoal portrait of actor Donald Glover, “captured light and texture,” Castro said. 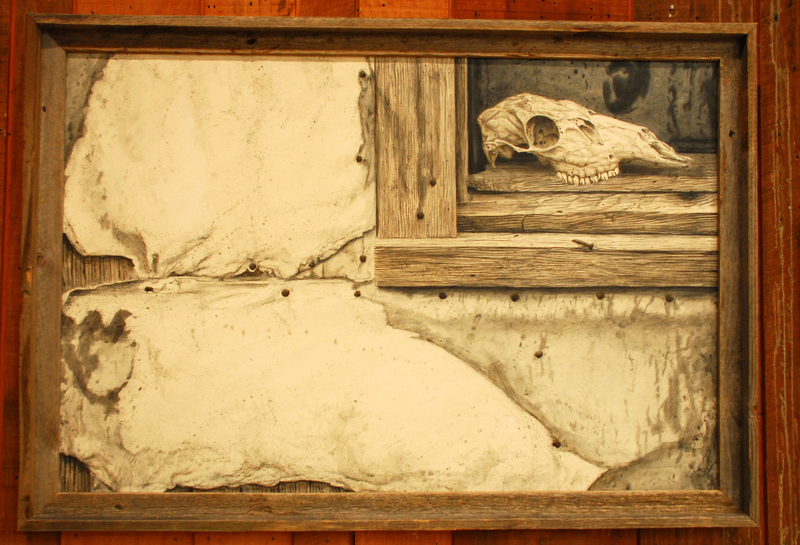 And “there was an attention to detail that showed high skill” in Jinkins’ “As the Deer Panteth,” a mixed-media-on-panel drawing. A complete list of student artists with work in the exhibition follows. For open viewing hours between 8 a.m. and 10 p.m., call (515) 296-6848.